Just across Highway 1 from Philipsburg lies the rolling, rich Antelope Hills. These hills are unique in the Flint Creek Valley for their montane grassland habitat amid the surrounding John Long, Flint Creek and Sapphire Mountain Ranges. Not only do they provide excellent forage grounds for wildlife, but the soil is ideal for agriculture. And boy, are they pretty. Five years ago, a large swath of these historic working lands were subdivided and sold, threatening the character of the valley. 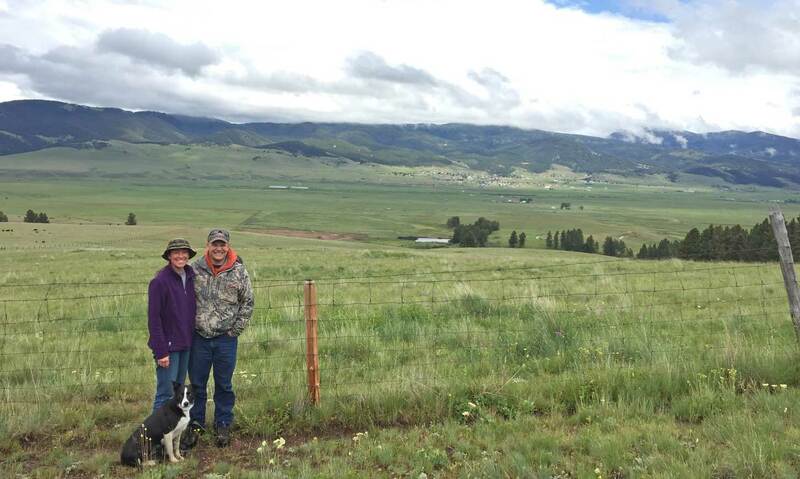 Since then, Joleen Meshnik and Tim Hilmo have steadily knitted over 680 acres of the subdivided parcels back together, into their operation, J T Ranches. Now, thanks to their conservation easement, the land will be protected in perpetuity. J T Ranches. Photo by Five Valleys staff. 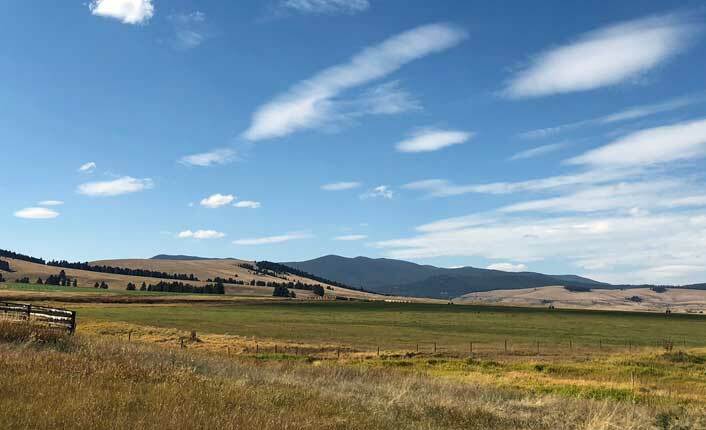 J T Ranches’ lands rolls across the valley and into the John Long Mountains foothills, varying from irrigated hay meadows to montane grasslands to timberlands. This scenery is visible from Philipsburg, and the diversity of habitats provides a home for elk, mountain lions, grizzlies, and a variety of birds. 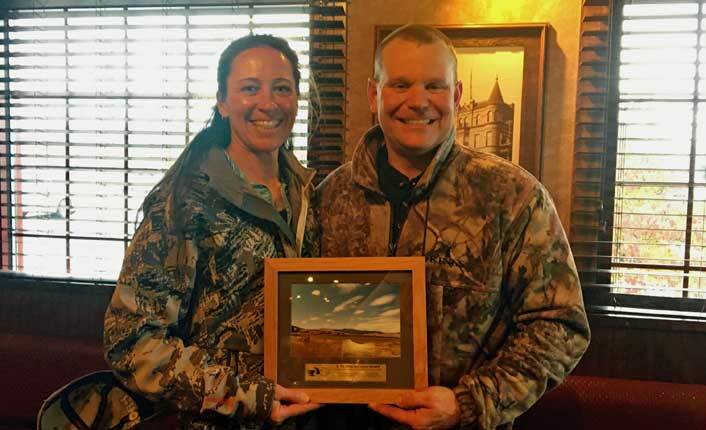 Over half of the property is made up of Prime or Important soils according the Natural Resources Conservation Service (NRCS), on which Joleen and Tim run cattle and raise hay. The project was made possible by $335,000 that Five Valleys secured from the NRCS’s Agricultural Land Easement (ALE) program, as well as funding from private sources, donations from the landowners, and Five Valleys Special Protection Funds. Over the last two years, Five Valleys has secured nearly $2.1M in ALE funding to support four Flint Creek Valley projects: JT Ranches, the Open Cross Ranch that was finalized last winter, the Lyon Ranch near Drummond, and the Buxbaum project near Maxville, which was also approved for nearly $200,000 in State of Montana Natural Resources Damage Program funds. We look forward to working with J T Ranches, and our other Flint Creek Valley landowners, to safeguard this irreplaceable landscape. Joleen Meshnik and Tim Hilmo celebrating their easement project. Photo by Five Valleys staff.